It was another day of celebration for young people who found out the results of the toughest exams of their school careers so far. 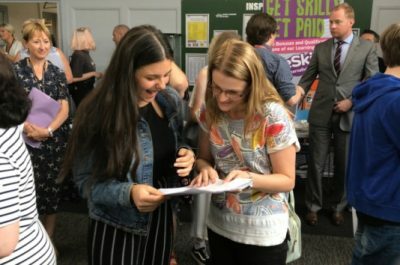 Students across Lowestoft and Southwold were greeted with good news as schools continued their upward progress despite fears that exam grade changes would prove a setback. 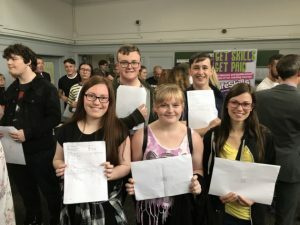 At Ormiston Denes Academy it was another successful year as the academy sustained its progress from 2017, with 52% of students achieving grade four and above in English and maths, very slightly down on last year’s 53%. The academy had particular success in English this year, with 70% achieving a grade four or better, and 52% achieving at least a grade five in the subject. Posted in Academy news on 23rd August 2018.